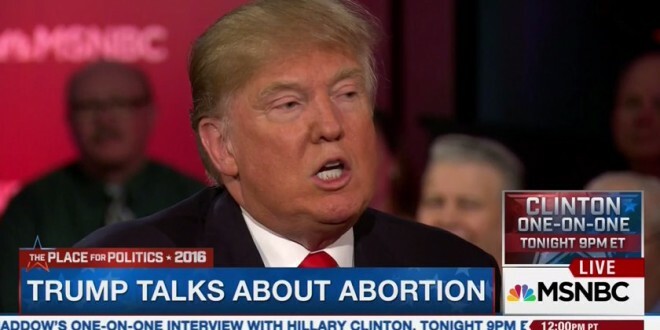 Trump: Punish Women Who Have Abortions [VIDEO] - Joe.My.God. Donald Trump sparked a firestorm on Wednesday after saying that women should be punished for getting illegal abortions. “There has to be some form of punishment,” Trump told MSNBC’s Chris Matthews during a combative interview. Matthews asked Trump whether he would ban abortion and how he would enforce such a policy.